Online games and cheating have a long-standing love affair, and The Division is no exception. 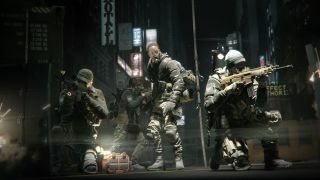 Ubisoft acknowledged the problem in the latest State of the Game broadcast on Twitch, but promised that better systems for detecting ne'er do wells are on the way—including a new function that will enable players to report cheating from within the game. Cheaters face a three-day suspension for their first offense, with no warning—“If you're cheating, you know what you're doing,” Ubi's Yannick Banchereau says in the video—and a permaban for the second offense. Banchereau thanked players for continuing to report incidents of cheating, but emphasized that Ubisoft has server-side tracking that helps it detect untoward behavior too. Among those improvements will be the ability to report cheating from within the PC version of the game using the “/report [username]” command, which will flag the account in question for a closer look. But Banchereau also noted that a lot of the reports of cheating that Ubisoft receives are actually the result of what he calls a “power gap” between players. The “/report” function will be added to The Division with the release of the 1.1 update, which is set to go live on April 12. The full list of coming changes is available here.